Downtown Albany's best kept secret where everything is homemade! Cookies baked fresh in the morning along with yeast sub rolls for the sub sandwiches, if you want a sub sandwich you better get there early. 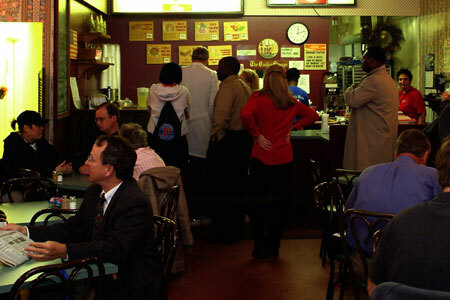 Choose from pimento cheese, chicken, tuna, egg or ham salad, vegetable soup, chili, Baklava, and don't forget the best sweet tea and lemonade made in the south!